Bring authentic Indian Street Food to your table and see just how much more there is to Indian cuisine, than poppadoms and pickles, bhajis and samosas or curries and rice. You can enjoy a vast array of mouthwatering delicacies from various regions of India that draw upon world food and add that Indian spice to it! Trademark vegan kebabs, loaded hot dogs and fries with awesome melty vegan cheese. Available for some outside catering events. We serve a variety of authentically cooked vegan Indian curries and street food. Available for parties and private catering events. Natural locally sourced and organic vegetarian ingredients are essential to the food we make. We offer a range of vegetarian buffets, with much that is suitable for vegans, and fixed menus and cakes for outside events such as weddings and meetings. As with our cafe menu, all the food will be organic. Can also cater for gluten-free diets where possible. 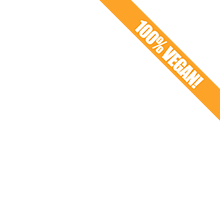 We are a vegan food business based in Brighton. We love to cook. We love to eat delicious food too. And we don’t think eating plant-based food should be boring. We provide cookery classes (perfect for groups), run pop-up dining experiences and can also cater for your event. We work across East Sussex and West Sussex, so if you want to know more, get in touch with us. The iydea is great value quality food fast! All our food is freshly made from natural raw ingredients and served in the most environmentally friendly packaging available. Catering available for festivals and private events. Plant-based catering at its best! We are a health conscious and 100% plant based catering business located on the beautiful south coast. Our events range from small private parties to large outdoor catering functions. We like to speak to our customers before writing a menu. If you have something in mind then we can adapt a menu around that, alternatively, if you don’t want to get involved we can go ahead and create something special that you are sure to enjoy. We are certain you will have an easy and enjoyable dining experience. I am dedicated to providing healthy, nutritious and fulfilling raw food. Based in Brighton, I offer catering for private functions, parties, weddings, retreats, commercial events, corporate hospitality and more. 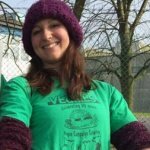 I run raw food training courses to teach the amazing benefits of preparing healthy raw food at home and also offer a weekly raw food delivery service for people in the Brighton and Hove area. Our food is based exclusively on plants, providing maximum nutritional value and minimal environmental impact. We make a range of stonebaked-pizzas, salads and ice cream. Contact us for details of private catering. Planted was founded in 2016 as a pop up restaurant to inspire people to eat more plants. Our approach to cooking is all about naturally healthy, seasonal, plant based ingredients that make you feel amazing. We also throw in a good treat every once and a while, because sometimes you just need a big slab of cake. We cater for private events, weddings and photoshoots. The wholesale side to Planted supplies numerous Brightonian coffee shops and restaurants with cakes and pastries. We love collaborating on events so please get in touch. We produce a diverse range of sweet and savoury pastries, speciality breads, full meals and meze dishes. Our aim is to provide a food range with no additives of preservatives, and with better natural food flavours. Our products are mostly of Mediterranean Cuisine, mainly recipes from all regions of Greece. We attend many events all throughout England, Scotland and Northern Island so that people have the opportunities to try and taste our food. Old Tree is a social enterprise that produces drinks to fund the planting of trees for solutions to human monocultures. We envision Old Tree drinks to become inseparable from a land regenerating, earth repairing culture, and to function as an educational tool to re-educate people about the qualities and uses of the plants used in food-forestry. Our space can be booked for private events. As well as the cafe menu, Old Tree can provide extra equipment, staff and bespoke catering services, including the serving of alcohol (brewed on-site) - prices on application. Capacity is approximately 40 people seated. We look forward to bringing you together! 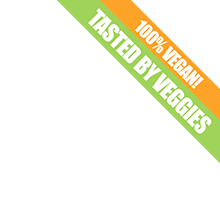 Titbits specialises in gourmet vegan and raw living cuisine. We invite you to try something a little different and enter into our world of culinary delights. All our food is prepared with love and passion. 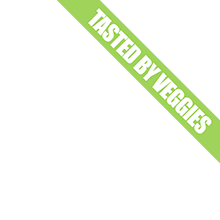 Our mission is to provide healthy, creative and delicious plant based foods with high quality, ethically sourced ingredients. We cater for all occasions - or why not invite us into your home to cook a gourmet feast for you and your friends. Private tuition and cookery parties also catered for. with you to create the food you want to wow your guests and always within budget. food or a complete sit down meal. A stunning converted vintage Romany caravanserving freshly made creative vegetarian and vegan street food, inspired from around the world. The emphasis is on exciting creative food using wholesome, fresh, nutritious ingredients. Where possible all ingredients will be sourced locally, organically and as fairly traded as possible. Also available to hire for private events. Mama Ghanoushe is here to promote well-being and fulfilment with plant-centric, nutritious food. Our vegetarian food is made with love and served in a relaxed environment, in today’s environment this sort of food is absolutely necessary. We aim to satiate your hunger and nourish your whole being with delicious and nutritious food. All of our meals are served with armfuls of love and a warm smile. Lots of vegan dishes are available. Mama Ghanoushe is available for private hire. Worthing’s only vegetarian and vegan bakehouse cafe! Quality food is everything to us and we feel that only the finest ingredients bring about great taste – all our cakes and scones are made with vegan butter, no eggs and HALF the sugar recommended (only your waist would know!). Everything is baked fresh in our on-site kitchen – so don’t be surprised when you visit if you get a waft of delicious baking smells as you come through the door! As well as catering to vegetarian/vegan requirements, we can also cater to customers with more specific dietary requirements. We can bake vegan celebration cakes for collection and you can also hire our premises. Bhajias and pakoras par excellence! All those flavours, the goodness, the love, the healthy bits wrapped up in the crispy bits, the fun, sustainability and the quality. Wham Bam takes bookings for a wide range of events including local fairs, regional festivals and private parties. At pubic events we provide for an increasingly important niche market, the meat/wheat and dairy-free diets. Everyone can eat them. As well as this we also use high quality ingredients which are not processed in any way before we purchase them. We also have strong environmental ethics, including grinding our own flour and spices. It is not your usual fast food. We also love doing private parties so please don't hesitate to contact us. A passion for nutrition, creative expression and love for life all combine to result in refreshing, vibrant vegan, vegetarian and raw food catering at its best. Vegan catering, vegan weddings, vegetarian catering, vegetarian weddings and raw foods, plus raw food classes, vegan and vegetarian cookery courses in London, Sussex, Brighton, Kent, the South East of England and occasionally further afield. Vegelution is a mother-daughter team determined to bring vegan food to Horsham and the surrounding areas in our vintage van. We provide 100% vegan plant-based catering and street food, with plenty of gluten free options and the ability to cater to further dietary requirements for private bookings. Big pans and big taste! We are a family business who have been cooking at festivals, street markets, weddings and parties for over 15 years. We can cater vegetarian, vegan, gluten-free, nut-free, meals consisting of potato stir-frys (sometimes rice & quinoa, sometimes wheat noodles) with a rich spicy bean sauce and a banana curry on top with a variety of toppings including a wild garlic sauce to go with it. For parties & weddings we can serve from 75-500 people with a variety of extras available. The veggies are all chopped by hand and cooked on site in big paella pans with lots of spices and herbs to give the freshest, tastiest, wholesome-est meal possible. Loved trying this food at The Green Gathering. Great flavours, lots happening on the plate and plenty food for your money. Weddings, parties, private and business lunches and functions, Christmas and other seasonal events, dinner parties, barbecues – in fact, any time you need high quality vegetarian or vegan food without having to prepare it yourself. The skill and knowledge of our Chef Proprietor Diane has been recognised by The Vegetarian Society, which has awarded her the prestigious Cordon Vert Diploma, and the Vegan Society has approved the use of their trademark on our vegan dishes. A vegetarian cafeteria selling fresh, whole, healthy food, proper good value food cooked from scratch using natural ingredients. Miss Walls Back Garden is an amazing light filled space where you can sit, relax and enjoy good food at great prices. The cafe is open in the evenings for private parties from 6:30pm ’til 11pm. We cater for a minimum number of 15 up to a maximum of 30. We can also do all kinds of outside catering, just ask! Our Loving Hut Express travels around numerous places in the South East of England including the Greater London area, stopping at popular spots to delight all-comers with healthy vegan food. Its unique versatility and mobility enable bringing healthy and planet-friendly lifestyle alternatives to a wide range of people over a very large area. We also offer an extensive catering service, so please contact us and we will come to you! Make a really convincing vegan version of fish and chips! Great comfort food served by a friendly lady.